We had a flash thunderstorm come through, and I got to the other side of the Mystic River just in time to stumble across this scene. 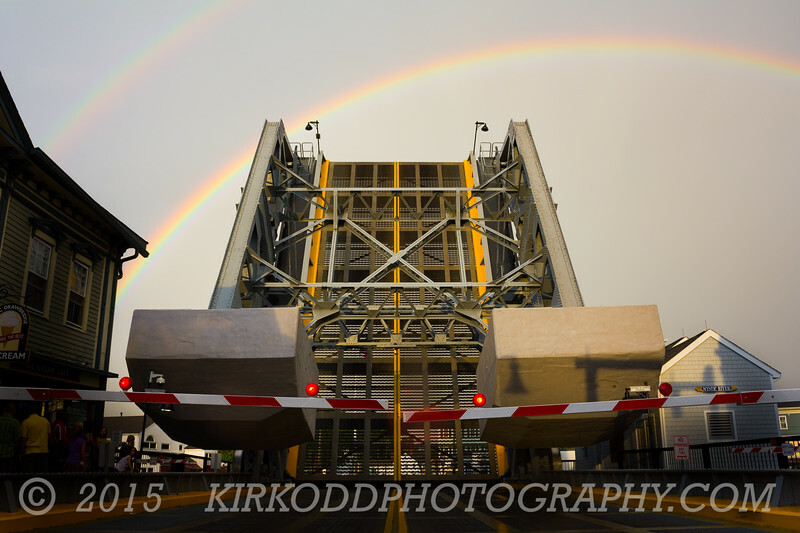 The draw bridge was going up, traffic was stopped, and two amazing rainbows graced the sky. People were jumping out of their cars and pulling out phones and cameras everywhere. I had about 10 seconds to jump in front and grab this shot. It was a one in a million event! This historic draw bridge at the center of Mystic, CT has always drawn a crowd, and today we all got quite the show.